A friend just informed me that AppSender does not run on Android 2.1 today. After a bit of research, I found the lame bug. There was a minor file system change between Android 2.1 and 2.2 and cause compatibility problems for my app. 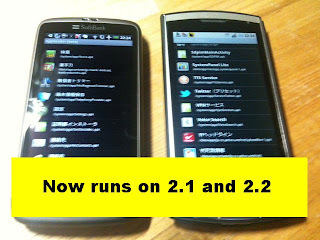 The bug is now fixed and tested on both Android 2.1 and 2.2 emulators as well as actual Android devices. If you are running Android 2.1 and had problems in the past, it would be greatly appreciated if you can try this new build. Once again thanks for all that have send feedback about AppSender. I hope I can continue to make it better.